Entrepreneur Robert Herjavec has seemed to be everywhere in the news in recent years. Mentoring startups like Tipsy Elves, Happy Feet and Drain Strain. Racing cars, running in marathons, and playing in celebrity golf tournaments. 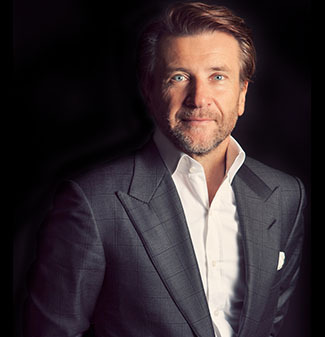 But what many don’t know is that his passion is cybersecurity, with his fast-growing global cybersecurity firm, Herjavec Group, keeping enterprise companies secure with products and services such as its highly-rated “24x7x365 Managed Security Services” and “Identity & Access Management,” which provide companies with expert IT security capabilities beyond their internal resources. For someone now so focused on security, Herjavec, 54, grew up in an environment that offered little of it. He was born in Varazdin, Croatia, then part of Yugoslavia. His father was a critic of the communist government and was jailed 22 times. The elder Herjavec escaped in 1970, taking his wife and son to Halifax, Nova Scotia, arriving with a single suitcase and $20. They moved to Toronto and lived in the basement of a family friend before getting an apartment. Though still new to speaking English himself, 10-year-old Robert translated the lease agreement for his parents. Kids in Herjavec’s school class made fun of him for his uncool clothes and the way he spoke, but when he complained to his dad, he was told never to complain, giving him a fierce determination to better himself. 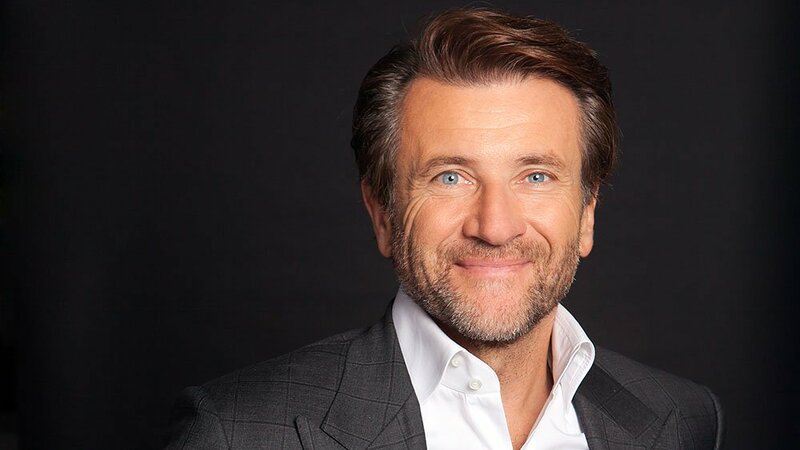 After graduating from the University of Toronto in 1984 with majors in political science and English literature, Herjavec worked at a variety of jobs, including a brief stint as a debt collector. He became very good at selling solutions, persuading the debtors that it was in their interest to make a deal. At every point in his later career, he realized that “no one achieves success in life without knowing how to sell.” It doesn’t matter what their job title is, he wrote: Lawyers negotiate agreements, brokers convince investors to put in money, and programmers present a project to management for approval, for example. Another job shortly after graduation was as a field producer for Global TV when it needed someone who spoke Serbo-Croatian to cover the 1984 Winter Olympics in Sarajevo, in Bosnia-Herzegovina. At the end of that year, Herjavec felt that he’d had his fill of the TV business and returned home to hear his roommate complain about not getting a job in a computer startup, LogiQuest, which sold IBM mainframe emulsion boards. Herjavec knew nothing about computers, but was impressed with what he heard about the entrepreneur and landed an interview. The company founder told him he was unqualified, but Herjavec struck a deal: He’d work for free for six months as he soaked up everything about the business; at the end, if he had made a real contribution, then he’d get paid. Meantime, he covered his bills by working as a waiter into the wee hours, getting by on only a few hours sleep, a habit he has continued. He not only got paid by LogiQuest, he rose to general manager, leaving the organization in 1990. Herjavec then started BRAK Systems, an integrator of internet security software, in his basement, selling it to AT&T Canada in 2000 for $30.2 million in 2000. Three years later, he founded Herjavec Group with two partners. Their first-year sales were $400,000, which fell short of their original projection. A nimble and targeted company, it was able to grow over the years both through acquisition and organically, adapting to the needs of the market. The firm expanded its offerings from basic professional services to include consulting, PCI compliance for payment cards, and four global security operations centers (in Toronto, Los Angeles and Reading, England) to provide enterprises with additional IT security expertise. Fourteen years later, it has a projected run rate of $200 million in annual revenue. Competitors include IBM Security, part of IBM (IBM); BT Group (BT), the British telecommunication services giant; and Solutionary, an arm of NTT Group (NTT), the world’s largest IT and telecom services provider. But this David has proven ability to slay Goliaths, ranking No. 2 on the Cybersecurity 500, a listing of the world’s most innovative cybersecurity players by research firm Cybersecurity Ventures. In 2006, Herjavec was invited to be one of the on-camera investors in a new Canadian reality show, adapted from the Japanese original, “Dragons’ Den,” appearing in the first seven seasons as it grew in popularity and won awards. Of the 40,000 or more applicants to “Shark Tank” each season, only 150 make it onto one of the episodes. A Forbes analysis in November 2016 found that in the first seven seasons, 319 offers were made on camera, but 73% of the deals fell through or were significantly changed afterward. Herjavec has a much better record, with just 13 of 24 deals being changed or not working out, perhaps in part because he’s known as “the nice Shark” and is more adaptable. He leads the team with the most investments in the auto sector (not surprising for a collector of cars). At www.Robert Herjavec.com he posts interviews with entrepreneurs he’s partnered with, where they discuss what they’ve learned in the process of making their businesses succeed. Overcame: Childhood poverty to found major tech firms. Lesson: When it comes to cybersecurity, you can’t be too paranoid.